Commercial air cleaning services are ultimately crucial for the health of your employees and customers. Keeping breathing air pure is important for a full list of reasons. Every building should have its indoor air quality tested every 2 years whether it is for commercial or residential use. 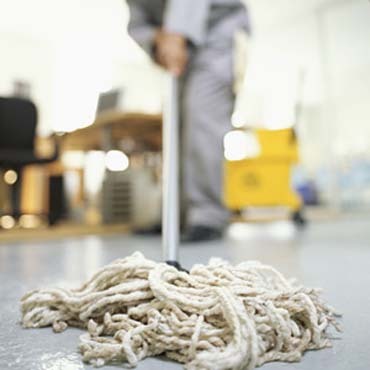 There are several different cleaning services that can help clear the air. Commercial services range from air duct cleaning, dryer vent cleaning, and hood cleaning. Restaurants and Laundromats especially benefit from these professional services. Every commercial building can benefit from air duct cleaning. Professional companies will clean literally every inch of your ducts to ensure maximum performance from your HVAC system. After all, the HVAC system is where all the air in your entire building is sourced from. The last thing you want is to be pumping out and breathing in dirty air. Ducts are cleaned with high positive air pressure and soft bristles that push and brush away anything that is clogging the duct. During the cleaning process negative air is used to balance the positive air. This maximizes cleaning power and prevents the particles and contaminants from entering back into the building during the actually cleaning process. Although this cleaning method does not use chemicals there are chemical treatments available. Hood cleaning is especially important for restaurants to keep up with. Not only does hood cleaning help reduce insurance costs but it helps improve the system's performance! Technicians will check for grease in the exhaust systems and thoroughly clean out any buildup. This keeps your business safe and clean and seriously reduces the risk of fire. Commercial dryer vent cleaning is very important for businesses like Laundromats. Keeping up with dryer vent cleaning is a maintenance service that should be done periodically in order to help improve performance of machines and reduce the risk of fire. With around 15,000 dryer fires starting a year, this is a service that cannot be ignored. Productivity of the dryers will also improve with this maintenance service. Clogged vents can make loads take much longer to dryГўв‚¬"especially clothing items like towels or jeans. Indoor air quality is something that should always be at its best. Not only is poor indoor air a health threat to yourself, your employees, and your customers, but keeping up with hood and dryer vent cleaning helps reduce the risk of fire. Professional cleaning companies can help improve the productivity of your appliances, improve breathing, lower energy bills, and prevent problems like mold and moisture.